Mission: To help people out of their struggle bubble! Whether you are injured, stressed, busy with work, or just need some time for yourself, Karen is here to help. 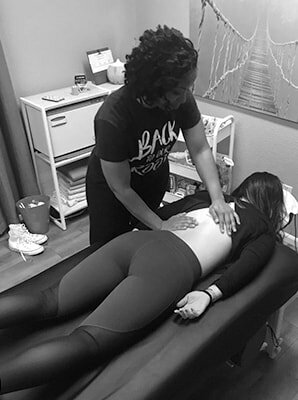 Karen is a naturally passionate person who wants to help you with your journey of selfcare and improve your knowledge of your own body. She wants to make sure that your concerns are heard, understood, and you feel safe in our environment. Karen chose CrossFit Lacey because she loves being apart of the CrossFit Community. The energy, comradery, and vision of total body wellness inspired Karen to see how she can help the community and give back. Book an appointment now and see how small changes can make a big impact in your life.